This pan-Lutheran publication is rather remarkable. It is interesting, informative, inclusive, and even inspiring. It offers so much variety: Features, editorials, church histories, congregational and synodical news, eye-catching photos, humor, and even helpful articles on family life and child-rearing. It is nearly impossible to read this paper and not find something (or a lot) that applies meaningfully to your life. I even find some of the ads to be rather engaging. Find a free copy at your Lutheran congregation this coming weekend. Take it home, have a cup of tea, and enjoy. Make it a monthly habit. And if you really feel inspired, send a gift to the Metro Lutheran office on Franklin Avenue. I assure you, it will be appreciated and used wisely. 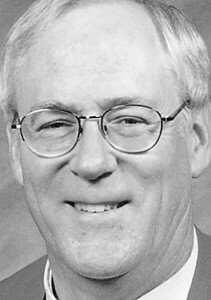 Paul Harrington was elected to the board of directors in 2006.